I know I was not able to keep up with the 30 day challenge (make up) on my blog due to long hours of work plus the time I have to keep up with my beloved son Adi. He is growing up so fast, that being not able to see him most of the time is killing me. I work 9.6 hours that 48 hours in a week and it is a struggle to keep a blog, a job and also take care of my son. But that part is what makes me feel that I am a super mom. I guess?!! It’s never an easy job but the most rewarding of all. I guess I might as well proceed with the post. Enough of the mommy rants, I’d rather post a separate one for that too. You know, i love my son so much and I miss him ALL THE TIME. 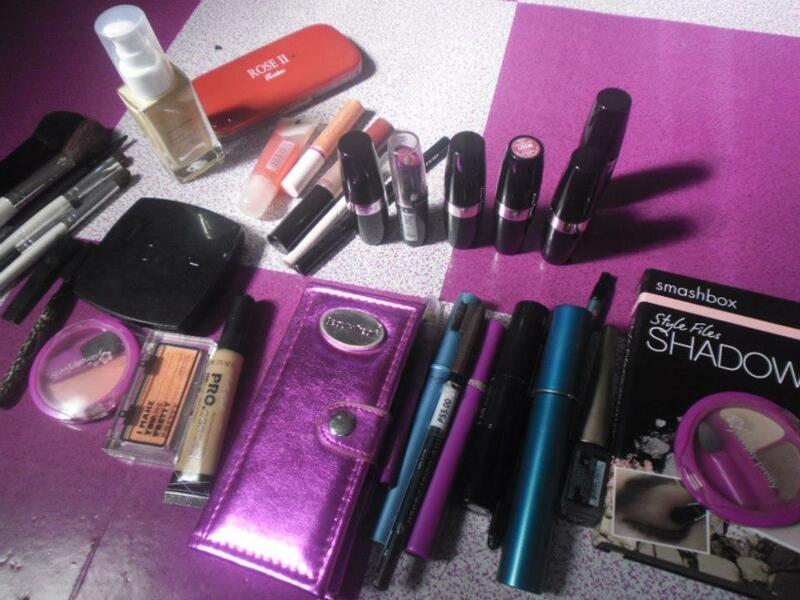 my makeup collection!. 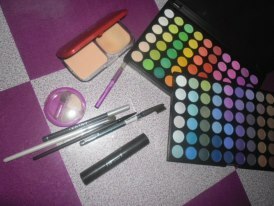 all sorts of them =) i actually love eye shadows. and lipsticks. I am also on the look out for the perfect foundation that is why i haven’t got hold of them yet. that liquid foundation I got from AVON. I’ll do a review on that soon. I have been using it for a month now and so far I am loving it!